The game started pretty evenly but it was Clifton who broke the deadlock after a good ball over the top from Micky Meehen released Paudie Murphy who made no mistake. It was soon 2-0 after a mistake by a Ligoniel defender was punished by big Murph. The second half started much like the first with Conor Ferguson and Stephen McNerney causing all sorts of trouble for Ligoniel down the wings. It was a great ball from Martin Foster, which split the defence to put in Murphy for his second of the game. Clifton were in total control of the game with the back line of Farrell, McLeish, Sloan, Officer and McGurk restricting the Ligoniel front men. Murphy soon got his hat-trick after a few quick passes carved open the Ligoniel defence and he calmly slotted past the keeper. With the game seemingly over Clifton made a few changes and brought on Micheal Docherty, Seamus O’Donnell and Ryan Donnelly for the last half hour. They didn’t take long to get into the game with all three going close on a few occasions to add to the score line. Another mistake in the Ligoniel backline allowed Meehan to round the keeper and put the ball in an empty net for number five. The sixth goal came straight away with Fergie running on to a great through ball before turning the defender and beating the keeper. Ligoniel pulled a goal back after most of the Clifton team had pushed forward, trying to get on the scoresheet and left their defence wide open. 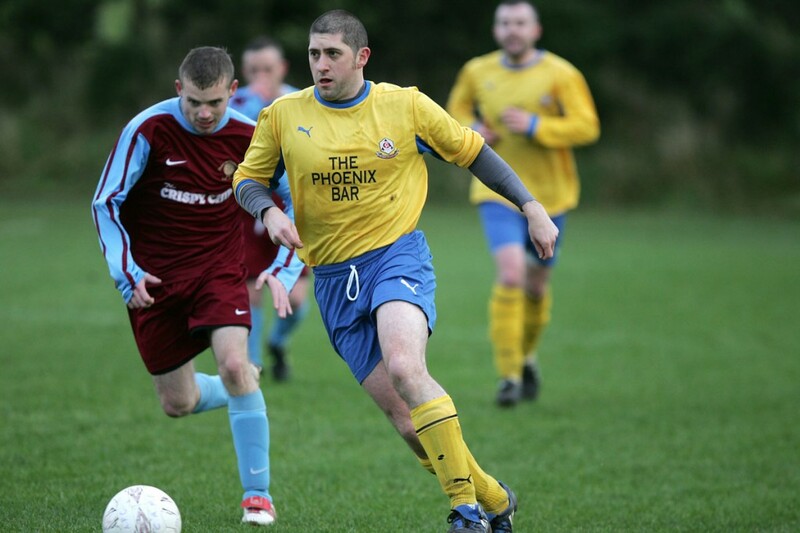 Good luck to Ligoniel for the rest of the season. CLIFTON ATHLETIC: David Farrell, Dean Officer, Joe McGurk, Danny Sloan, Dee McLeish, Conor Ferguson, Stephen McNerney, Marty Foster, Micky Meehan, Martin Murphy, Padraig Murphy, Micheal Docherty, Seamus O’Donnell, Ryan Donnelly.